Technological pedagogical content knowledge (TPCK or TPACK) – the highly practical professional educational knowledge that enables and supports technology integration – is comprised of teachers’ concurrent and interdependent knowledge of curriculum content, general pedagogy, and technological understanding. Teachers’ planning – which expresses teachers’ professional knowledge (including TPACK) in pragmatic ways – is situated, contextually sensitive, routinized, and activity-based. To assist with technology integration, therefore, we suggest using what is understood from research about teachers’ knowledge and instructional planning to form an approach to curriculum-based technology integration that is predicated upon teachers combining technologically supported learning activity types selected from content-keyed activity type taxonomies. In this article, we describe this approach to curriculum-based technology integration, illustrating it with overviews of and examples from six curriculum-based learning activity types taxonomies that have been developed to date. We invite our readers to vet and use these materials, participating in their further refinement via online surveys available on the Activity Types Wiki (http://activitytypes.wmwikis.net/). Harris, J., Hofer, M., Blanchard, M., Grandgenett, N., Schmidt, D., van Olphen, M. & Young, C. (2010). “Grounded” Technology Integration: Instructional Planning Using Curriculum-Based Activity Type Taxonomies. Journal of Technology and Teacher Education, 18 (4), 573-605. Waynesville, NC USA: Society for Information Technology & Teacher Education. Retrieved April 22, 2019 from https://www.learntechlib.org/primary/p/30418/. American council on the teaching of foreign languages (1998). ACTFL Performance Guidelines for K-12 Learners. Yonkers, nY: author. Deng, Z. (2007). Transforming the subject matter: examining the intellectual roots of pedagogical content knowledge. Curriculum Inquiry, 37(3), 279295. Donald, J. G. (2002). Learning to think: Disciplinary perspectives. San francisco: Jossey-Bass/John Wiley & Sons. Friedhoff, J. R. (2008). Reflecting on the affordances and constraints of technologies and their impact on pedagogical goals. Journal of Computing in Teacher Education, 24, 117-122. Harris, J. (2005). Our agenda for technology integration: it’s time to choose. Contemporary Issues in Technology and Teacher Education [online serial], 5(2). Available: http://www.citejournal.org/vol5/iss2/editorial/article1.cfm Harris, J. B. (2008). Tpack in inservice education: assisting experienced teachers’ planned improvisations. In aacte committee on innovation & Technology (eds.). Handbook of technological pedagogical content knowledge for educators (pp. 251-271). New York, nY: routledge. Harris, J. B., & Hofer, M. J. (2011). Technological pedagogical content knowledge (tpack) in action: a descriptive study of secondary teachers’ curriculum-based, technology-related instructional planning. Journal of Research on Technology in Education, 43(3), pp. 211-229. John, P. D. (2006). Lesson planning and the student teacher: re-thinking the dominant model. Journal of Curriculum Studies, 38(4), 483-498. Levin, T., & Wadmany, R. (2008). Teachers’ views on factors affecting effective integration of information technology in the classroom: developmental scenery. 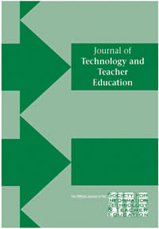 Journal of Technology and Teacher Education, 16, 233-263. Millar, R. & Driver, R. (1987). Beyond processes. Studies in Science Education, 14, 33-62. Mishra, P., & Koehler, M. J. (2006). Technological pedagogical content knowledge: a framework for integrating technology in teacher knowledge. Teachers College Record, 108(6), 1017-1054. Shulman, L. S. (1987). Knowledge and teaching: foundations of the new reform. Harvard Educational Review, 57 (1). 1-22. Stodolsky, S. S. (1988). The subject matters: Classroom activity in math and social studies. Chicago: the university of chicago press. Tubin, D., & Edri, S. (2004). Teachers planning and implementing ict-based practices. Planning and Changing, 35 (3 & 4), 181-191. Yinger, R. (1979). Routines in teacher planning. Theory into Practice, 18(3), 163-169.